This post (and giveaway!) are sponsored by Sago Mini. An award-winning app and toy company devoted to play. 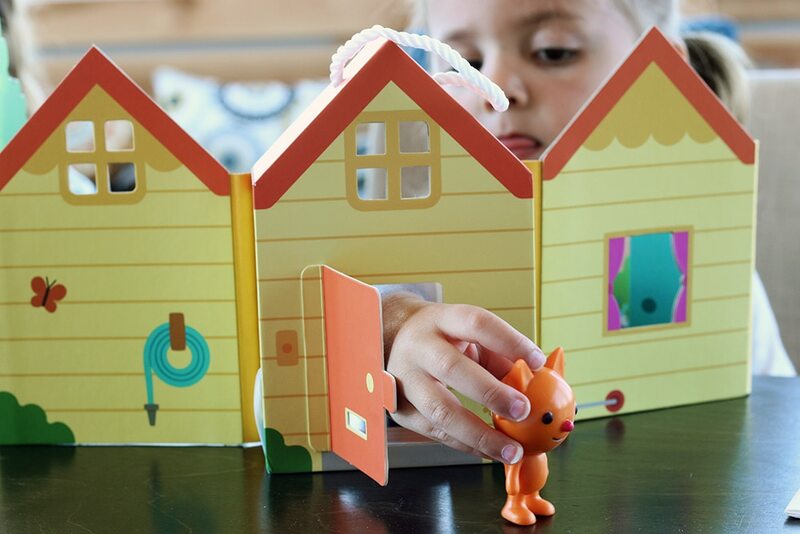 We don’t talk about toys very frequently around here, with the exception of the playroom and the toy storage in there, but when we were introduced to the new Sago Mini playsets, we knew they were definitely worth a post. Not only is the design thoughtful, beautifully detailed and whimsical, but they are perfect for travel (so portable! ), high quality and have proven to be extremely engaging and fun for our kids. We’ve taken them everywhere from our road trip to Washington a few weeks ago, to parks and on picnics, and they are regularly played with at home, too. There are three playsets–Jinja’s House, Harvey’s Spaceship, and Jack’s Diner. Each are filled with fun figurines and accessories that fold up and pack away in seconds with a built-in handle to make it easy for kids to carry! (we are giving away all three here and another 2 sets on Instagram!–details at the end of the post). 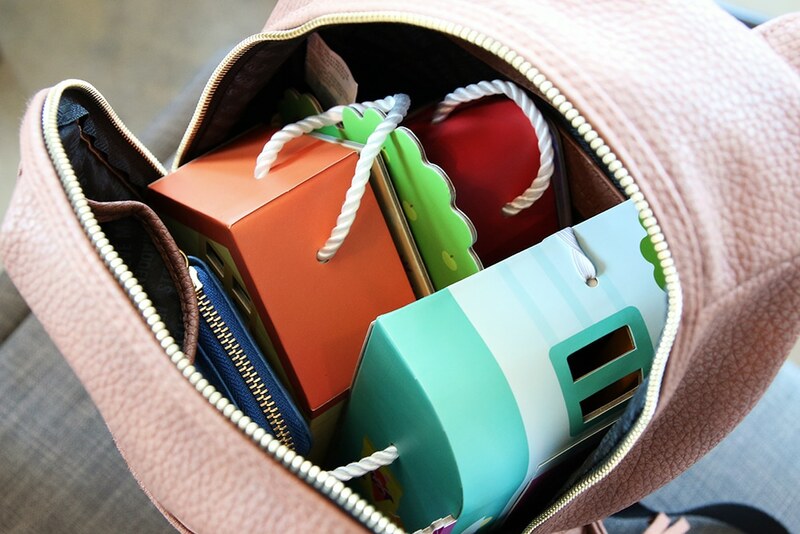 When we’re traveling or on the go, I can easily fit all three in my mini backpack, or sometimes I’ll just throw one in my purse to pull out at a restaurant while we wait for our meals. In short, they’re pretty great and I’m not surprised in the least that all three playsets won at this year’s Parents’ Choice Awards. You can pick up a Sago Mini playset on Amazon.com (or Indigo.ca in Canada). And we’re also giving all three away here to one lucky reader and to two more followers over on our Instagram! To enter: Leave a comment telling us which playset is your favorite in the comments below for a chance to win all 3 playsets! And bonus question–Where would you bring it? Rules: We’ll choose the winner July 13th. Contest is open to US & Canadian Citizens. Must be 18 or older. I would love to have the diner if I had to choose, but, would love all 3 play sets for my grandchildren when we go camping in our rv. I would love them as a great addition in the r.v. Wow, this post is good, my sister iis analyzing these things, therefore I am going to let know her. The spaceship – largely because that’s my favorite of their games! I love the diner!! Oh my goodness, they are fantastic and such a terrific idea. We would carry them everywhere that we have to sit and wait….mainly activities for my older kids. Swim team practice, cello lessons, cross country practice. This would make “waiting” so much more bearable! Harvey’s spaceship is my favorite–they look so cute and love the portability! My 5 yr old son would love Harvey’s spaceship!! I just love that house! It would have been a perfect addition to our vacation last week. Haha, there’s always next vacation! ooh, love the diner! We’d probably take this all over with us. We visit my father in law frequently, but there is never anything for my daughter to play with. This would be perfect! I love these- cute idea for my niece’s birthday in August- I am always looking for fun and different toys for her to play with that you cant find at a basic store and these fit the bill. I can picture her carrying them around everywhere she goes- mostly during the car ride to visit us from her home on Long Island. i think my sister and brother-in-law would appreciate the distraction on a 5 hour long road trip! And, its so compact it would be great or her to have up here while she is visiting for long weekends. The diner is just way too cute! My oldest is taking a reading course on Saturdays this summer. Something like this to distract her brother while we’re there would be amazing. I love all 3 but my personal favorite is the house. We’d take them to grandma’s house. We have four kids (all under five years old), and I’m always on the lookout for stuff like this. I can get overwhelmed by tons of toys cluttering the house, so I’m constantly cleaning out what’s not being played with and donating it. Stuff like these houses (vintage Fisher Price Little People play sets, in particular!) are what has stayed in our home through the years and continues to be played with. I think I would choose the house if I were to get just one, but ideally I’d like to pick up all three before our next road trip! So fun!!! Harvey’s spaceship is so cute!! My sweet five year old LOVES outer space and regularly dresses up as an astronaut (which means little sister does too). I love Jinja’s House!! It would be perfect for long car rides!!! The Diner is cute as a button! What a neat toy, C♡J. Thanks for keeping us (nerdy moms) on trend! The spaceship one is my favorite! It’s a toss up between Jinja’s house and the diner. Either way my little one would love these. We are regularly traveling on long flights and I’m always on the search for things to keep her occupied and use her imagination. The spaceship is so my favorite. My kids would love it in restaurants and on plane rides! I love the rocket ship. Jinja’s house is too cute! So is the spaceship! Jack’s Diner is so cute! Great idea to take them to restaurants to be played with while waiting for dinner, we would definitely do that. Oh that diner for sure! And it would likely go everywhere and be so much easier than that Little People school bus filled with My Little Ponies that we bring everywhere now. Love the Sago Mini apps and now they are real! Ha! My daughter loves the Sago Mini apps. She would lose her mind to see them “come to life”! I love Harvey’s spaceship! We’d take it and the other two to restaurants for our boys to enjoy while we wait for food. All three are adorbs, but would pick Jack’s Diner! We LOVE Jinja’s house and look forward to trying the other two out. Love the house because it has a cat and a hamster, my girls would love that. We are planning a trip to Greece and London next month and I would bring these along on the plane and to keep my younger daughter busy in restaurants! Too cute! The house for my girls and the spaceship for my future son! Perfect for airports and plane rides. I love Jinga’s house. I think my 5 year old daughter would love it to play at home or bring to grandma’s house. Harvey’s Spaceship! Great for vacation trips. My son would love the diner and the spaceship! What great toys! The Diner!! My hubby is a chef so that one really hits home for us. My girls love to “help” him in the real kitchen or serve us from their play kitchen. This little diner is right up their alley! That spaceship is so freaking adorable. My space-obsessed son would go nuts! We have the road trip app and my daughter loves it. She would probably enjoy playing with the house the most. Looks like a great travel or restaurant toy. These are so cute — I just love the little slide on the Jinja’s House set! I’m expecting my first so tips like these are great! I can definitely see this keeping a little one entertained and love how portable it is! I have one daughter who loves cats, and another who adores rabbits. That said, if I had to get just one I’d choose Jinja’s house. It comes with two figures, so they could play together. Our daughter would love Jinja’s House for road trips and while we’re out at restaurants. Jack’s diner is so cute! I can see it being a great distraction to the kiddos when we go out to eat. As I was reading this blog, my 5 year old was looking over my shoulder and commented on the Rocket one – so there’s the answer. I asked him where he would take it if he were to get one, and he said “the Moon”! So adorable! I love the rocket ship! We’re headed to Yellowstone soon and would love to have these for my son to play with on the plane. Love the Harvey’s Spaceship kit – so adorable, and would be perfect for killing time at the doctor’s office while waiting for my littles to be called back. Thank you! Those are adorable! The diner is my favorite, but I think my girls would love them all. We would definitely bring them to grandma’s! These are so cute! They would make great gifts too. 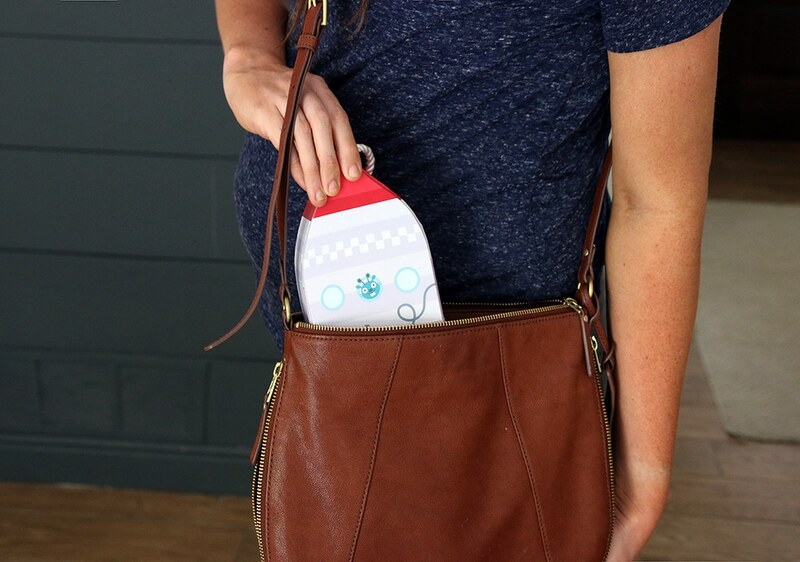 I would definitely add these to the diaper bag for anytime we are out and about. Especially great for restaurants I would imaging! these are darling. my little guy would love the spaceship. he’s the youngest of three so he has to go to lots of soccer, football, and baseball for his older sibilings. i think this toy is perfect to help entertain him at all those events. OMG! 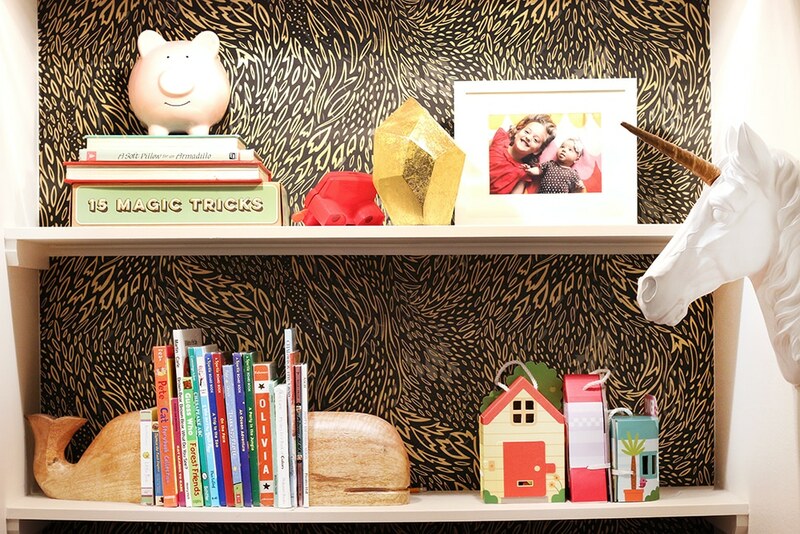 My toddler plays with the Sago Mini App, so I most definitely love Jinja’s House the most! I know she would love it because it is reminiscent of the little minis sitting on the front porch in the app! So cute! And in terms of the bonus question, we would be taking them to church! It’s difficult keeping a two-year-old entertained through a 2.5 hour service! Jinja’s House is my favorite. I’d bring it to restaurants and meetings. Harvey’s Spaceship! We would take them to restaurants with us, since there is always some waiting involved there, and the kids get squirrelly for something to do. It’s soon hard to choose just one, but the diner is so precious! My girls would love the diner! We would bring it to our upcoming trip to Disney – perfect for the plane!! The spaceship is my favorite. Our daughter currently wants to be an astronaut when she grows up and I think she would love it. The spaceship looks so fun! I like the diner playset the best. We would take these on our road trips. We love the diner and we would take it to the restaurant where my 2 year old has a hard time sitting still for long periods of time. Those are darling! They are allso sweet, but Jinja’s house might be my favorite. My kids would love to play with that on the 12 hour drive to grandma’s house! I love the house set! Jack’s Diner is my favorite of the Sago playsets! I just love the jukebox! This would be great to bring camping to alleviate the kids’ boredom! My little girl would love the house with the cute slide. I’m sure we would take it everywhere – Grammy’s house, restaurants, car trips! I love the house! My 3 year old would love this on our road trip to OK. I love the house! And would bring it while waiting at restaurants. I like the spaceship. I have a boy who is obsessed with space! I’m pretty sure it would go EVERYWHERE with us! Jinja’s House is just the cutest but I can see my girls loving the diner and the rocket ship just as much or more than the tiny house. I think we would take these everywhere. We have twice weekly speech therapy for our middle daughter and these would be perfect for the waiting room or for our oldest to have something to do during her appointment. The apps are great too! I love the house!! My 3 year would seriously take it everywhere!! definitely Harvey’s Spaceship! My 4 year old would love it and I’d bring it on our long car rides to Maine! The house and diner are precious. My daughters would love these! We would take them on long car rides or out in the patio for playtime. My toddler is obsessed with astronauts and spaceships, so our easy favorite would be Harvey’s Spaceship! That’d be an awesome toy to take with us when we visit family out of state. I could see this being a great gift for my nieces as well. Thanks for sharing! Our favorite is Jack’s Diner! We would bring it on our international flight on October! The spaceship, ftw! My grandson would love this. As a new grandma (I’m also trying out the name Grammy), I think Jinja’s House would be a favorite for my granddaughter. I would keep it in my car for the road trips I plan on taking with her. So sweet! I love the Spaceship and it would be perfect for my toddler. I can totally see how this would be fun at restaurants and while traveling. PS. I can’t believe how grown up Greta looks. She looks like a mini version of you. Love it. Jinja’s house would definitely be a favorite with my son, and it would be great for plane rides to go visit my parents as well as Saturday breakfasts around town. My niece would be thrilled with any but would LOVE the spaceship. She’s obsessed with our 2 dogs and would think his space helmet is a riot. We have a 12 hour Michigan drive coming up in August with the three girls – ages 1, 3 and 7 – and this would be the perfect day-of surprise gift to help get them through the trip! We love sago mini! Such cute cute cute games on my phone. My kids would flip. My favorite is jinjas (I always thought it was “ginger”) house! My daughter would love these! Great gift idea! I personally love the diner. Jinga’s house…that slide looks too fun. I love your idea of bringing them to restaurants. I also think it would be good to bring to friends houses that don’t have kids/toys. Jinjas house – I’d take it on road trips for my 2 1/2 year old daughter! Love Jack’s diner, I would give this to my nieces. Hopefully, they would bring it when they come to visit me! The diner set is too cute! Jinja’s house is my favorite and my 3 and 5 yr old would both love it! They are all so cute and would be a diaper bag staple! Jinja’s house! And my niece would most likely bring it to church with her. It’s perfect to keep her quiet and entertained!!! Definitely the spaceship! My 5 year old plans to be an astronaut and live with his wife and eleven children in a rocket ship. I think I’d keep it in my purse for when we are out places. The diner looks pretty fun. I’d like to see my great niece play with these sets. I think she’d love them. The diner! We would bring it on the long drives to see Grammy! That diner one is so darling! I love Jinja’s House, but the spaceship is also cute. I would take them anywhere that might require waiting for something – restaurants, doctor appointments, etc. These look great! I would choose the darling house and bring it to our favorite breakfast cafe on a weekend morning! I think both of my kids would love the rocket ship! My favorite is Jinja’s Playhouse. We are moving across the country and it would be so much fun for that long car ride. Additionally, I would bring it to restaurants, it’s so hard for kids to wait for the food, which is so goofy since they just pick at it anyway! My favorite is the house :) we would bring these to friends houses to play together! The diner one is adorable! My kids would love these! Julia and Chris, I just want to say how much I enjoy your blog and podcast. I’ve never commented before, but I had to tell you how sweet Jack’s diner is. My uncles always called my grandfather’s house Jack’s Hotel, and when he sold it to love in with us when I was in middle school, the person who bought it turned it into a diner! How funny and sweet of a memory! I’d like to enter your contest, but full disclosure: my daughter is only 11 months old and won’t be able to use it for a few years! But–I did want to say how much I love your podcast and blog and how much I find inspiration from both. As a stay at home mom who owns a sewing machine, mitre saw and a nail gun it’s so nice to hear about other “real people” out there creating their best life. You two have more practice than me! I love the diner! These would be awesome to take to appointments or activities where I have a few kids not participating that still need to be entertained. My favorite is the little house! But the cute classic diner is a close second! I would take this on the airplane trip that we are going on this winter with our daughter who will be just a few months shy of two. It would be a great way to entertain her and not take up much space in our carry-on! Also, pray for us as we didn’t buy her her own seat! We figured we’d tough it out while she’s still free and save some money, fingers crossed it goes well! I would take the spaceship with us on the long car ride to Rexburg to see the solar eclipse! Probably the house! Looks like there’s a lot you can do with it. I’d take it on the plane! Love the Jinja House Playset! The ladder and slide are so cute. I know a little girl who would take it EVERYWHERE! I like the Sago Mini – Portable Playset: Jack’s Diner. We would bring it to my parent’s house. I love the little house, how cute! The house is so adorable! My daughter would love to take this on the go to Gran’s house! Jinja’s House is my favorite. My husband and I have three girls (one’s less than two months old…I see you, Julia and Chris! ), and this is right up the older girls’ alley! They would love these sets so much! Not sure where we’d take them, but they’d be great quiet time toys, and these days quiet time is VERY important! All of them are cute but my son would go for the spaceship. This would be great of the grandparents house! Jack’s Diner definitely, my babe hasn’t gotten to this age yet, but I dream of being able to go back to restaurants! Definitely Jinja’s house! And I would take it with us on out of state trips to keep my 2 and 4 year old girls occupied. Harvey’s Spaceship is soo cute!! So cute! My daughter would love to bring them on our family vacation. I think my favorite is the spaceship. My son would love Harvey’s playset! He could play with it while I nurse the new baby. Definitely Harvey’s Spaceship… our kids Molly (6), Sam (4) and Luke (2) are going through a MAJOR science/space stage right now. We are having a blast building rocket ships and watching old Star Wars movies, but these would be a life saver on our upcoming summer road trip (18hrs each way) to Gramma’s! I’m thinking I love them all, but the diner is maybe the cutest! Thanks for the chance to win ! I think my son would love Jinga’s House! Harvey’s spaceship is looking particularly cute right now because my niece is absolutely obsessed with space right now. As for where I’d bring it — straight to that happy little 4 year old. I love the spaceship and the diner! What a great idea. Fingers crossed I win, but if not, I’m definitely going to get one–anything to help my kids sit through a restaurant meal! BTW–I loved Ep 40 of your podcast. You and Chris do such a wonderful job of being open and honest, and as a former amateur blogger, I know how hard it can be to shake off negative comments, so kudos to you! I love the spaceship one!! I’d definitely bring it to frisbee games so he has some entertainment while hubs and I are on the field. The house is my favorite, but they are all adorable! I would bring it on an airplane to entertain my girls! My daughters would love jinja’s house for our car ride to the beach! It would then be a hit sharing with cousins at the beach house! Thanks for sharing about these. I love the little Diner because my little one loves to help me in the kitchen! We would bring it to a restaurant with us! I love Jinja’s house! I would take it to restaurants and on road trips. The diner :) so cute though, all of them! They’re all adorable, but I think the house set would get played with the most around here! Hi Julia, these are awesome! We eat out a lot so I have a bag of toys and activities to grab to keep our daughter busy while we wait for food. This would be a great addition to our arsenal. I’m partial to the Diner, love all the little details but they are all pretty cool. I like Jinja’s House but my son would LOVE Harvey’s Spaceship! We would take it with us on our 8 hour road trip with 3 kids down to Georgia for my mother in law’s 60th birthday! I like the house and the space ship. I’d obviously have to get TWO because I have a 5 year old and a 3 year old and there ability to share depends on the mood (of mostly the 3 year old.) It would be great to take when we go out to eat, but also when we have MD appts or anything that requires much of a wait, because NO PATIENCE! Thanks for sharing these! I’m confident these will wind up in my house regardless of I win the giveaway! I love the little house! These are really cool. Harvey’s Spaceship is definitely my favorite because of the dog’s helmet and that you can go out of this world!! Julia, I love your idea for bringing these to restaurants. My daughter has a hard time sitting still during a dinner out and this would be perfect. We are also going on vacation next month and will have a long flight where these would be great! I think the diner would have to be my favorite, but all 3 are adorable! These would be great to take along anytime a wait is anticipated! My 5-year-old would love these. He is really into pretend play and usually winds up playing with our UNO Moo game as a farm :) I think either the spaceship or the house. He sits at the kitchen table for hours playing make-believe. I may have to order one for his birthday! The little house is so sweet, but the question is more where wouldn’t we bring it!!! Its so perfect to go everywhere! Happy Friday! Jinja’s House is so adorable, but all of them look fun and would be perfect for my daughter to play with. We’re looking to take a few trips (by air + car) in the coming months, so we’re currently on the hunt for portable toys – these seem like great options! I also like the idea of taking them to restaurants, we don’t typically take our daughter out to eat because she’s so restless! We love the little yellow house! 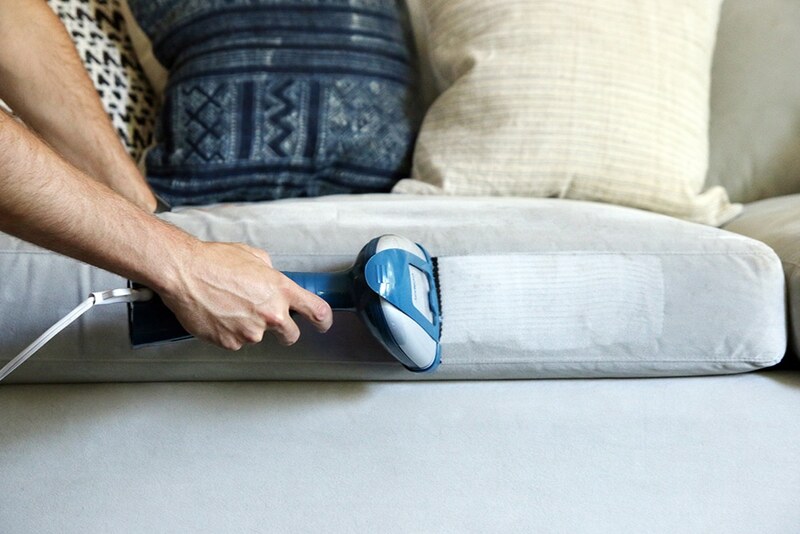 It’s perfect for road trips & summer camping trips. We would live to win all 3! These are great! I think I like the house the best because of the slide. I think I would bring one everywhere. What a great distraction- that’s not a phone, and encourages pretend play! These are super cute. With one girl and two boys, I am thankful that they are gender neutral! My favorite is jingas house because of the slide and ladder!!! The diner is so cute! My girls would love the diner set. Often when we are in the living room the girls are busy in the play kitchen making amazing concoctions. A while ago my older daughter decided my kindle was a menu, so she’ll use it to play waitress. I can see using this set to entertain my not yet 2 year old while her big sister is at gymnastics. She’ll enjoy it more than me having to sometimes physically restrain her so she doesn’t run onto the mats. The spaceship is adorable! I would take it on road trips to see the grandparents and to restaurants. Harvey’s Spaceship is my personal favorite. If I were to win I’d give them to my sister. She has two girls and a boy on the way. And she’s been going to her doctors appointments with both the girls, so I think they would be the perfect toys to bring to events where the girls need to be kept busy. The jinja house is darling! I would love a set for my daughter Adeline and we would take it on an airplane. It’ll be her first time traveling on a plane and these look perfect to keep her busy! I love the look of the diner. We would definitely use it most traveling between our home and our cabin to help ease the “are we there yet”. The diner! Love the idea of bringing it along when we eat out! Spaceship! On our trip to Maine! We know that our two year old would love all of h play sets but especially the house with the slide! We’d bring it on our road trip later this summer as it’s the perfect portable toy for the car, hotels, poolside or wherever we find ourselves! They are all so cute, but I think I like the diner the best. These would be perfect for our upcoming flight to Boston! I think my 3 year old boy/girl twins would love the Jinja’s house, since they love to “play house”. However, their new thing is going out for dinner, so I’m pretty sure they’d love the diner set too! May be looking into getting one of these, would be perfect to bring with us when we go out to dinner before food arrives….will allow me and my husband to have a conversation! Harvey’s spaceship is so cute, my kids would love these. I think the diner is so cute! And I’d definitely take them on road trips, or even out of town trips to doctors appointments. That diner is adorable! To be honest, I love them all. These would come in handy at the doctor’s office when we have a bit of a wait time. I think my favorite would be the diner. I can just imagine the scenarios my boys would come up with in that set. Jack’s Diner is great – so handy to use !! Thanks for the recommendation. I think my favorite would be the dinner. I can just imagine the scenarios my boys would come up with in that set. Jinja’s house is so cute! No doubt it would come everywhere with us!! Harvey’s Spaceship is too cool!! I love the house!! We have a big road trip coming up and six little girls! My middle three girls would love these! OMG! this is super cute – I’ve not seen them in person since the stock is always out at Indigo (Canada). My little one would love the spaceship – probably due to his surroundings of stars, space dog blankets, and planets. This would be the perfect distraction when we’re out playing Ultimate frisbee (not to mention to share with our teammates kids) or a quick toy to bring when popping over to the grandparents. Thank you for a Canadian open giveaway as well. Oh those are really cute! My daughter would really love those. I think the Jinja house is fun with the littl eslide. My boys would definitely love Harvey’s Spaceship. Jack’s Diner is my favorite. I’m obsessed with the little characters. So cute!!! They’re all adorable but I know my little guy would love Jinja’s house because that slide is just too cool. Ooh, they’re all so great! My personal favorite is the spaceship one though! Car rides to his grandparents (about 5 hours) would be wonderful with these! The dinner is super cute!! But I think my favorite is the house, so sweet! Theses are great and would be a great add to our “restaurant bag”. Not sure if I could decide between the three, but maybe the Spaceship one…love them all…my kids are too big, but my nieces and nephews are the perfect age for these. They’re all super cute, but i think my favorite is the spaceship. It would be fun for a roadtrip! Oh these are too cute! The diner looks cute and unique! We don’t have anything like it! Would love to win for my cute girlies! The spaceship is very cool. Love them all though and my kids would as well. They would be perfect for quiet playtime for our daughter while little brother is napping. The space ship!!! My boys would love it so much. I can see this being a great way to entertain my youngest while his big brother is at soccer practice. I can see my little girl loving jinja’s house. She loves little figurines that can be taken along and played with anywhere, so this would be right up her alley. Jinja’s House is my favorite- although I can see my my son and two daughters playing with all three! Don’t judge me – but I would actually bring it to church with me. The 2 year old and 5 year old get a bit antsy during service and a cute little portable playhouse would come in handy! I have to say, what happened to your pledge to only accept sponsorship from brands that are directly related to DIY? I love your blog and would hate to see it going down the path of other blogs who accept sponsorship for anything and everything. When we were approached by Sago Mini (a brand we already love because of their amazing apps), it felt like a really good fit for us. And every once in a while, we inject some family post in so it felt in line with our brand on all levels. I’ve been eyeing the cute rocket ship set!!! The spaceship is my favorite…this would definitely be a toy we bring to restaurants with us! My favorite play set is the Space Ship, and it would great for long rides in the car! I love the spaceship one. Super cute. There are SagoMini iPhone/iPad games that are aweome for kids. We paid $15 for one of the app packs and the construction one is probably his favorite. If we let him, he’d play it for hours. My son, two year old Henry, would love Harvey’s spaceship. We are leaving for a 7 hour road trip in three weeks and it would be a hit! I think my daughter would love the little house. And I love your idea of just throwing them in your purse to pull out at restaurants etc. 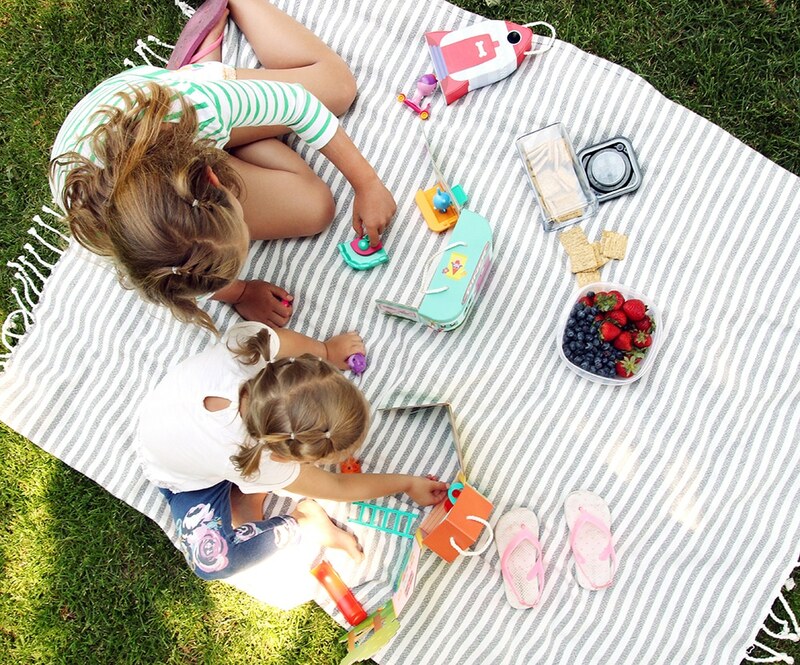 All of the Sago mini playsets look so cute and would be perfect for my toddler granddaughter. My favorite is Jinja’s house and I think she’d love it. She’s part of an U.S. Army family and currently lives in Germany. 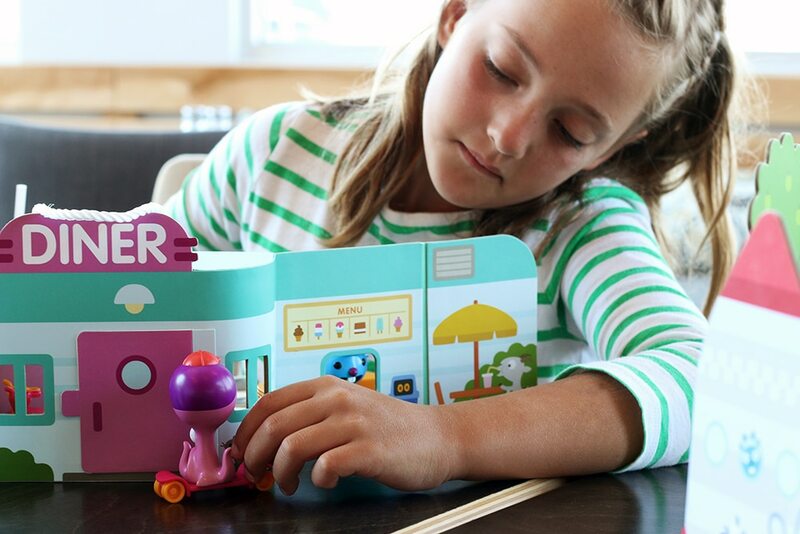 Her Mom and Dad take her on many weekend trips to see the region so the portable playset would be perfect for her to take to play with in the car or on a train. I think the spaceship. My girls have decided they want to be astronauts, so it would probably come everywhere with us. Rocket ship! We would take this everywhere, especially when we visit friends and relatives who don’t have toys. The house is so so sweet and it looks like it will be a lot of fun for my two year old. Our family travels a lot for my husband’s work so I will bring the playsets on car rides and plane trips. Thank you for this post, I will wait till the 13th, on the off chance that I don’t win (LOL) I will order these then! Definitely Jinja’s house. This would be great for long plane rides to Asia that we will do in December! The diner for sure! I’d bring it to the restaurant so we could get a few minutes of peace! I love Jack’s Diner! My nephew would love this in restaurants just like you said. Why is waiting for a table or a meal at a restaurant such torture for little kids? This would definitely ease the pain! Yay! A giveaway open to Canucks! My boys would love the diner play set. Jinja’s house for camping with my nieces and nephews. My kids would love these! They are big fans of the app. I think the diner is super cute! My kids would love Jack’s Diner! We’re taking a road trip to Michigan this summer (7 hours!!) and these would be great to have in the car. My four kids would love all of them! Especially the diner! I’m drawn to the diner but I’m betting my daughter would love the house. We would take it on our summer road trips. i love the spaceship, but i think my kids would love the diner. i would leave a set in the car. Harvey’s Spaceship – out to restaurants to entertain two restless little boys!!! The Diner is so, so cute! I think my daughter would love Jinja’s House, especially with the slide! I’m having baby #2 in october, and I can see that these toys would be fun for a 6 year old AND a 1 year old! Definitely going to have to get one if we don’t win them! I’d love to win these for my grandkids. My daughter-in-law needs all the help she can get entertaining kids during the summer. I’d take them on play dates and I’d love them to come to grandma’s house so I can play with them too My favorite is Jack’s diner but I think my five year old granddaughter would like the playhouse best! Love Jinja’s House AND Harvey’s Spaceship! My niece and nephew would love them even more! I’d keep it at my apartment for when they visit… I do need some fresh toys for them! I love Jinja’s House for my daughter! I would take this with us on our 8 hour drive to cape cod this summer. I really think my littles would like Jinja’s House. The slide is the feature that decided that. I think they would enjoy all 3 though. We are forever having to go to events or practices for my older kids so that is where I would take these toys. What a refreshing change from the iPhone! The diner is awesome, I think I would play with it too! I LOVE the little spaceship!! My girls love space and that would be so fun in our house. I love the little house or the diner sets – adorable! These would be perfect for our upcoming family vacation to Vancouver Island! I can’t pick just one. I have three grandchildren and my granddaughter would love Jinja’s House; grandson number one loves all things outerspace, so he would love the rocket; and grandson number two loves to help us cook so the diner is a perfect option for him. We would take these everywhere. They’d be great at the park when one is playing ball to keep the others occupied; and to keep at our house so they have a special toy they look forward to playing with. The spaceship is adorable. We don’t do phones at the table so these are perfect for restaurants! I like jinja’s house!! What an awesome idea. I would keep it in my purse and bring it to doctors appointments, which I go to a lot now with my daughter, since I’m pregnant! Jinja’s house! These are adorable and look great for entertaining little hands all over town. The Diner is so cute ! We have 5 kids and are flying from NJ to WA in August these would be perfect for our trip ! The rocket ship is pretty cute! The diner would be the big winner at our house, as we find that almost any object can be ‘served’ as a ‘meal’ with a little imagination. Road trips and airplanes are the place I am always looking for compact, time-consuming toys! Lovely recommendation! Jinja’s house is my favorite for my 3 year old! Would be great for restaurants! All 3 are so cute! The house and the diner are a toss up for my fav. These would be perfect to take along when we are visiting our 82 year old twins ☺️ (Grandma & Great Aunt Arlene). I’m torn between Jinja’s House and Harvey’s Spaceship! They’re both so cute! They are all so cute! I think my fave is the diner. I would bring them out to eat to help keep the kids happy while waiting. The spaceship one would be perfect for my daughter. Entertainment before dinner is always needed when we go out to eat. Thank you so much for offering this giveaway! I’d never heard of these but they are perfect and if I don’t win I will be so tempted to purchase a couple of them anyways. It’s so hard to pick a favorite, but I think I’d go with the spaceship for my two girls. But the diner is a close second. They’d come in handy for any waiting room or sit-down restaurant. I love Harvey’s Spaceship! I think we would end up taking these all over with us — to the doctor’s office, to keep my son entertained when I volunteer at the school, to restaurants, to great-grandparent’s apartments where they have to play a little more quietly than usual! Love Jack’s Diner! My niece and nephew would love it. Robin’s Roadtrip because my son loves any type of wheeled objects, especially cars! We’re going on a lake trip next month and this would be perfect to take! These are precious! Great toy so children can use their imaginations. I would pick the house as my first choice. love the spaceship, my 2 year old would be so happy with it. thanks for the great rec. Diner for sure – my girl loves to eat. Seems like a great toy for an airplane, we’re headed to Norway in a few weeks. Jinja’s house is my favorite because it has a slide! We have two little girls and they would love playing with these at restaurants. They would also be good to take when we visit my grandparents in assisted living. The spaceship one would be fun for my girls. We would take them to grandparents houses. I love the little house! So great for traveling and on the go while big brother has soccer games and my daughter is bored! Would def take on our road trip to the Smokeys and Hilton Head this summer. I love the diner! We would take it to our local coffee pub to entertain our 5 year old while we wait for our food. I like the diner but all three are so cute! We would take them everywhere! Harvey’s spaceship! I think he would love to take it with when we travel. The rocketship looks fantastic, and I would bring it when we go to visit family. Thanks! I have two boys that I’m sure would like the Spaceship. They would be great for our summer camping trips! The rocket ship and the diner! (My 4.5 year old boy/girl twins would love these!) And, we would bring them along on our road trip to South Carolina! My daughter is really into rockets and space these days so the spaceship would be perfect for her! Love the little house! We have a few road trips planned this summer and the new minivan doesn’t have a DVD player (the horror!!) so I’ll have to had these to my list of Things to Stop The Whining. My daughter loves the sago mini apps and these will make perfect gifts for her birthday coming up! If I had to choose one to start with I think it would be Jinjas House because she loves anything house related. It would be perfect to bring with us when we go on our beach vacation coming up to play with in the hotel! The spaceship! My oldest is seven and wants to be an astronaut. We’d take it outside to the park! Tough choice, but I think my first purchase would be the house. My daughter loves playing house right now. Thanks for introducing me to these toys, they look great! Hope I win! The little house is so cute! I would definitely bring it out to dinner. We haven’t been out in a while because our toddler is just a bit too rambunctious, but this would be an awesome distraction. These playsets are too cute!!! I love self-contained toys like that. My daughter and I love all three sets, but have to go with Jack’s Diner. Her big brother’s name is Jack and she loves the idea of him having a diner. As for where we would take it, she and I are leaving for a trip to VA and I love the idea of a toy like this for the plane ride and all the additional driving we will do. Such a cute idea! Jinja’s house and I would bring it to the hospital for my 4 year old daughter surgery in September. The diner is so cute! My daughter would be obsessed! The diner would be the winner with my twins. We’d bring them everywhere but especially when we venture out on the rare occasion for dinner with them to buy us a few extra minutes to enjoy our food rather than wolf it down! Jinja’s house! I would bring it to the hospital for my 4 year old daughter surgery in September. Oh how cute! My little Charlotte would love Jinja’s House! The slide – oh my! She’d be in heaven! Adorable! So fun!! My daughter would LOVE the little house with the diner being a close second. She’s a very busy little girl so we’d definitely take this anywhere we have to wait awhile: doctors office, restaurants, etc. With a new baby in the house and all the newborn appts, I’m sure she’d love a special toy to keep her occupied. Jinja’s house is so cute! My girls would love it! I’m gonna have to go with the diner. :) I have three nieces and a nephew – all under the age of 4, so I’d keep these at my house so hopefully they would want to come see me ALL of the time! Jack’s Diner is my favorite! We’d bringtist it to the dentist- so much waiting! Harvey’s spaceship! I love going out to restaurants with my daughters but not having their nose stuck in electronics! My girls would love playing with the little house. I’m sure this toy would be helpful anywhere, but especially on our long flights to grandma’s house. These are awesome! My girl would probably love the Diner since playing restaurant is big in our house right now. Love Jinja’s house! We’d use these for car trips and waiting rooms. OMG adorable! I love the diner, and think it would be perfect for when we’re at restaurants. They’d make far better pretend dining companions than the sugar packets that end up everywhere. I love the diner! Super cute! I know my little neice would tote it everywhere! I can’t decide if I like Jinja’s House or Jack’s Diner the best. These are adorable! I’ve never heard of them before — thank you! These are adorable!!!! 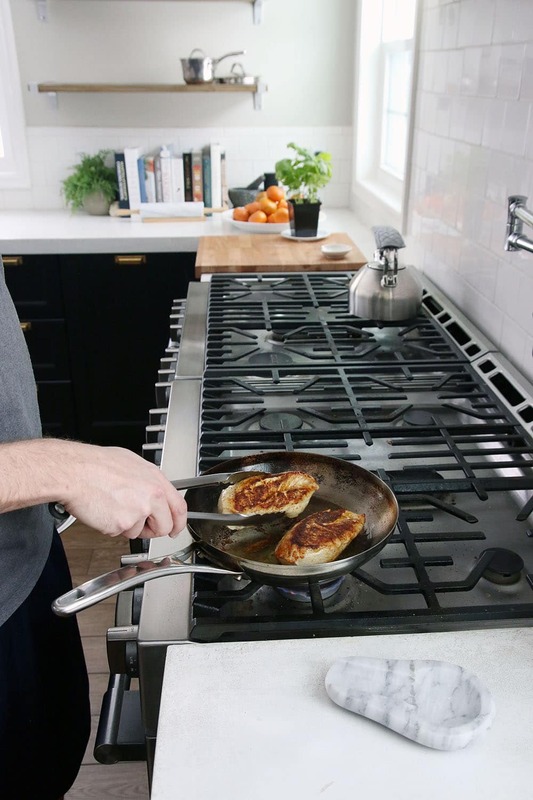 My kids would love the diner- my son is just starting to get into cooking (he’s just learning how to crack eggs- 😝) They would be great on the go and those unexpected wait times. I love the mini play sets! So cute. I would take them when I am babysitting my nieces and take them to work (for the kindergarten kids I teach..not myself!). Jack’s Diner is my favorite! The house is my favorite. We would take it to any sitdown restaurant. My boys always need a distraction at a restaurant! Jinja’s House! 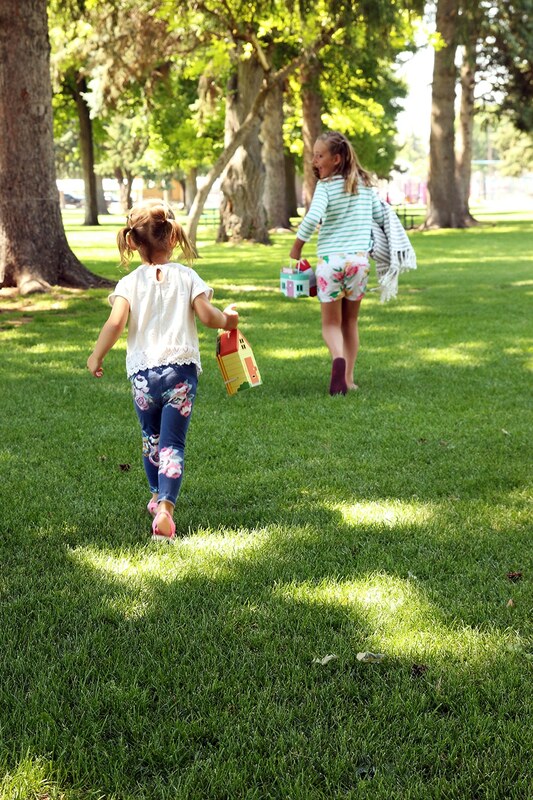 We’d take it on our strolls to the neighborhood park! Love these!!! My kids would love playing with these in the car on long rides. I love toys that are the pieces fit inside. Genius! What a cute toy! I think both my children would like Harvey’s Spaceship. Car trips or in the backyard would probably be where we take the the most. Thanks for including a Canadian link for purchase too! Love these! The rocket ship looks fun for my newly-space-obsessed kiddo! We have a 6 hour drive to the shore coming up and I know this will keep him occupied for a long time. I love all three but I think my little Lenna would absolutely love the Diner. She loves playing with her play food so I know if we took this playset to the beach with us she would have a blast. Tiny toy sets like these are great for her imagination as well as her focus. Would be so happy to win one. I would like the space playset. We travel a lot, so it would go everywhere. I think my girls would love the diner!! The rocket ship! All of our grandparents are 2-4 hours away, so I could use them for road trips! Love them all. I think my daughter would love the house the most. Would be great to have these for when we go on road trips this summer. The spaceship for sure! My boys would love all of them tho & I can see carrying them with us everywhere. We just got back from the Space and Rocket Museum in Alabama, so the spaceship would be super popular in my house right now, but I’m certain my girls would love all three! Where would we take them? Everywhere! Car trips and restaurants are at the top of the list though! My toddler loves pretend cooking, so he would love that little diner! I would use it as entertainment at restaurants before the food came too Julia! Jinja’s house! Would love something small like this for going out to eat. Especially for keeping it as a “when out” toy that makes it extra special. All three are great but I love Harvey’s Spaceship! These would be great to take on the go and have in the car for the kids. We live on an acreage far from the city and as a result, we spend a lot of time in the car (25 min drive to school one-way). The kids can get pretty bored during the car ride, I definitely know they would love these! My friend and I were just talking about not wanting anymore toys in the house and family asking about what our kids want. Books, clothes and board games is my answer now. These play sets are so different from what we see in stores. An entire play set for on-the-go! My daughter just became obsessed with her big brother’s spacesuit costume and she loves to fill her backpack up before we leave the house. The spaceship set looks perfect for her! I like the one with the slide and I’d take it everywhere!!! Jinja’s house is so darling–we need these to take toonthe baseball games! Our youngest endures hours of time watching her brothers play and is often so pared we resort to screen time. This is just so perfect!! Love them all! Especially Jinja’s house!! I love the little space ship! I would bring it to my classroom for rainy day recesses. The kids would be so excited! My little man would looooove the spaceship. He has that app on his tablet for long rides and hanging out in the docs office during my marathon prego appointments. He loves the app and he loves to play pretend, so I know the toy version would be a hit, even for those long rides. Where have these been my whole life?! Jinja’s house would be a huge hit at my house…but the diner is a close second. Love the portability and simplicity of them. I love the house! My daughter has yet to be born (any day now! ), but we are always keeping our eye out for unique, well-made toys. Our family lives across the country, so I know we’ll need lots of toys that we can travel with. I love the house! We’re actually moving into a new house and it’d be perfect for the long car ride there! Oh my goodness! These are so cute! It’s really hard to choose a favorite but if I have to, it would be Jinja’s House! We would take this everywhere with us but it would be especially great for when my preschooler has to wait with me while her sister goes to music and ballet lessons! Hope we win! I also know what I am getting my daughter for her birthday- the quilt with places for the animals to sleep! I love Jinja’s house! My daughter would love playing with this during summer camping trips. I love jinja’s house!! We’d definitely bring it on our flight to Asia this fall! My favorite is the little house! But they are all so sweet. Taking them on the road is such a great idea and would be perfect for our summer roadtrip!! I completely adore “jacks diner”. My girls are always playing their kitchen and pretending to take orders to serve up. These playsets would be perfect for those long visits at the doctors. I would love the diner! And I’d bring it to entertain my gal who is just getting big enough for these kind of toys! Jack’s Diner is the cutest. I’m thinking that the car would be a handy spot to have something so fun and easy! So exciting! I gotta say I love that treehouse! My dollhouse-obsessed daughter would flip for these! Thanks for introducing them to us! The diner is super cute but I think the house is my favorite. A restaurant would be the #1 place we’d pull these out, for sure! Side note, not sure if you’ve looked into it, but your page is still taking forever to load since you changed things (viewing on chrome from an android). Opening this post took nearly a minute! The spaceship! My daughter would love to take it to her Opa and omas house! Jinjah house for sure. With two little girls I think you can’t go wrong with bringing them out to dinner so mom and dad can have a conversation! I hate electronics to entertain and these would be so perfect to throw in my bag! My son would love Harvey’s spaceship. These would be so amazing for the car ride or those ever so long waits at a restaurant. I have 3 kids so a set of 3 would be perfect. I’m same as you, these would be perfect for a restaurant!…or while I’m shopping! The house is so cute, both my girls are obsessed with mini things! We are visiting my dad this summer and they would be a great airplane toy. I think the diner is my favorite. Although, all are ADORABLE! I would definitely take it to the doctors office. With three young kids, we seem to be there quite often, and it would be nice to something along to occupy the girls! Harvey’s Spaceship for sure! These would be perfect for my son to play with when he is at his older sisters swim practice, soccer practice, basketball practice! Love the idea that they’re so small and portable! So stinkin’ cute!! I love the diner! And really appreciate how unisex they are. Your restaurant idea is great, we would have to try that! My boys would undoubtedly love the rocket ship. 5-4-3-2-1 blast off! We LOVE all of the sago mini apps! They’re the only games I allow on my phone for my two little girls (3 and 2) because of their simplicity and aesthetic designs! My 3 year old has been asking for Jinja’s playhouse for a while now and she would absolutely love this for her upcoming birthday! We would take it all over. Totally jinjas house!! My daughters would love it (and probably fight over it 😬). We travel to my parents and sisters often so it would be a perfect travel toy!! The spaceship one would be a huge hit!! The diner is so sweet! Our little guy would love it and I’m sure it would be a welcome distraction as we are due with #2 any day now. My daughter would adore these! We’d probably bring it everywhere, but it would be especially nice for long car rides to visit Grandma. Jinja’s House would undoubtedly be her favorite. Thanks for the opportunity! We love Sago Mini! The apps are priceless with my two littles. I love the diner since my oldest has discovered a love of cooking. These would be ideal to entertain the kiddos when we venture to the airport (two hours away!) to pick up visiting grandparents flying 3500 miles to visit! The house would be an absolute hit with my 3 almost 4 year old. She loves little play sets like these. This would be perfect for an airplane trip, it looks like they could easily be played with on top of a seat tray, but are also small enough to be portable and lightweight. I love Jinja’s Playhouse! They would be great for visits with family who don’t have kids, i.e., no toys. The house! The slide looks fun. I would take it on road trips, out to dinner and outside play!! Oh my Gosh!!! I’m obsessed with Sago Mini! All of Fin’s favorite apps are Sago Mini! They are all so stinking cute, but I would love the house, mainly because it comes with the cat and Fin loves the cat the most. Also, I think this would make the best church toy! I love the diner and I would take it during our cross country move cross country for my twins. We would love the house! It’s perfect for road trips. I like the house set! But the diner is a close second. I would bring it on the airplane when we travel to Florida this winter. The Jinja House and we would bring it on road trips/restaurants and home! Love the spaceship since it would keep both my girl and boy engaged. Perfect for a restaurant! I LOVE all 3 of the play sets!! I have a 7 month old daughter and we just moved. I am just starting to put together her nursery and these would look so cute sitting on a shelf until she is old enough to use them!! I think they are all adorable! All 4 of my girls would love them. We’d take them on road trips to Grandma’s! I think they are all adorable. I have a feeling my boys would love Jinja’s house the most. They would love making little toys or sugar packets or my chapstick go down the slide. Over. And over. And over. Again. I would bring those to restaurants every time we went. We love Jinja’s House! Our 2 year old would love this for the car, a flight, or to bring when she climbs into bed with us! Oh, I think the house is so cute! My kids would love these. I think I’d just let them bring them everywhere. Love the house! Car rides, at home, quiet play at church, waiting at the doctor’s office with me, so much more! The playhouse is my fav! It would be perfect in my Grandma bag! I like Harvey’s Spaceship the best. We have a road trip coming up with our two year old, and I think it would be great for the car. Jinja’s house looks so much fun! Definitely take this out to dinner! My girls would love one of these! They’d probably choose jinjas house, as it has the slide of course. We’re huge fans of Sago Mini and their sister studio Toca Boca around here. Their apps and plushies are our absolute favourites. The Diner is super cute. too cute – I love the diner! Jack’s Diner is adorable. It would go on vacation with us to the lake! Pack it in the carry on. These are such a great idea! I think Jinja’s House is my favorite but they all look fun! Jinja’s House is our favorite–that slide is darling. We’d take it on long car rides, like my husband’s once-a-month Guard weekend across the state. I have 2 boys and I think the spaceship would be the one they’d fight over. However I’m sure they would live all 3 sets, I know I do! These would be perfect to take to the restaurant! I think the diner is so cute. I would take them to restaurants!! Hmm. . . tough call. Personally I like the rocket, but I think my two-year old daughter would like the diner best, especially as a toy to keep her busy when we eat out. Thank you for the giveaway. These little sets are so sweet! They are all so cute! The diner is super fun. I’m thinking I need this for our flight across the country coming up in September! Love the diner!! Like you, I think these are a great road trip option for our daughter!! So cute! Definitely Jack’s Diner. My daughter’s favorite toy is her play kitchen. It would be cool to have an “on-the-go” version. We would take it on trips to Gramma’s house. The spaceship is so cute! Bringing it to restaurants is a great idea! They’re all so cute but diner is the fav! It’s a tough call, but I think I’d chose diner because I think it would be fun to take that one to an actual restaurant. Also, we have a doll house at home, so I like that the diner could be a fun addition to make a town if they played with them together. At first I thought the spaceship for my son – but, he’d probably love the house more! But they’re all so cute! Harvey’s spaceship would be my pick for my guy. I love Harvey’s spaceship. My son would love these and I would take them to restaurants, dr. office and even in the car! I would also love to use them in my classroom. I teach early childhood special education and can see my students loving these! I think my daughter would looove the diner since she’s all about her kitchen these days. I am getting ready to do a cross country drive by myself with my 5 and 2 year old to meet my husband at our new duty station so these would be perfect! Definitely the diner- but all are adorable! I would probably take it with us when we travel- it seems we would get a lot of mileage out of it! These are awesome toys! I’m always trying to find easy to pack toys for our diaper bag to take to restaurants. Jinja’s House has to be my favorite because both my daughter and son would love it! The rocket ship! My son would love it for our road trips to visit my sister. I love that little diner. How cute! My kids love the Sago Mini apps! I like the diner, but I’m sure my kids would love the spaceship. It would be perfect for restaurants. I always run out of activities for them to do before the food arrives. I think my kids would love the house and the diner! I have 4 kiddos, and I know that my older 3 would LOVE these sets! I know that restaurants and waiting for appointments would make them a go-to! Even better, my girls and my boy would love them! The rocket ship bc both my son and daughter would love to play with it. I would take it to appointments or car trips. So cute!! I think my boys would LOVE the spaceship. I like the playset best! I would bring it to restaurants too! My daughter would love the diner!! It would be a great toy for our long road trip this summer (16!$ hours). My granddaughters would LOVE these…especially the diner! I love the spaceship but my cooking obsessed 4 year old would probably like the diner most. We take a lot of long road trips where our kids are limited to a small box of toys. 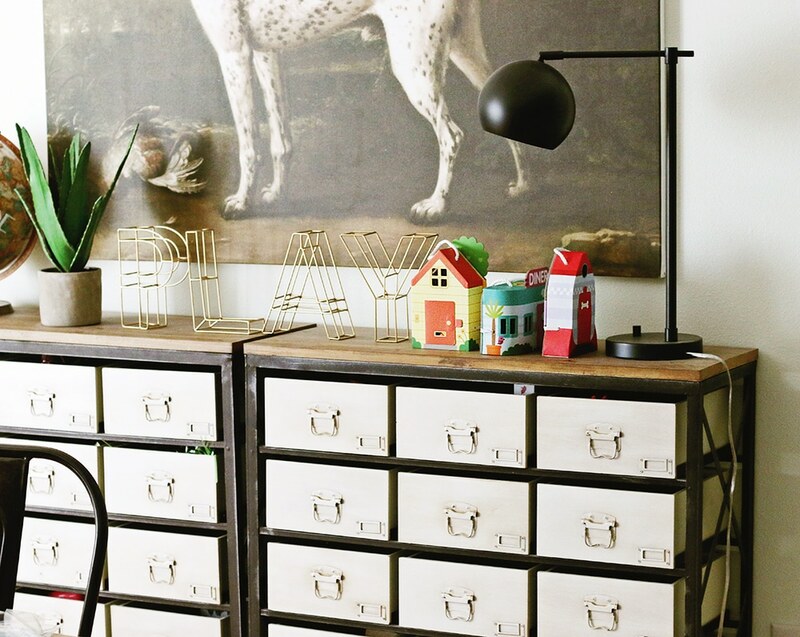 These would be perfect additions to our tiny toy box! I love Jinjas house! We’d enjoy bringing this to restaurants to help entertain our 3 year old! These are so cute!! (it also helps that they are pretty to look at). My kid sister would love the rocket ship one because she loves space and science! With the age difference she loves playing solo and getting lost in her imagination. 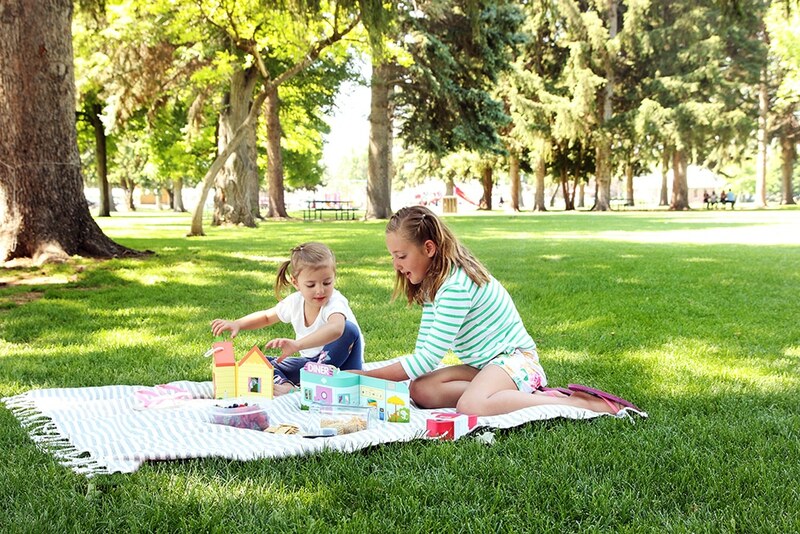 This little play set would come super in handy for our upcoming road trips this summer! I would pick Jack’s Diner and take it on our road trip from Wisconsin to Florida in August. This summer my three kids created a game they call “Town,” and they each play different roles in the town (Baker, postman, garbageman, etc). Jack’s Diner would totally play into their budding interests! The diner set is my favorite! My three year old would take it when we go out to eat. I love all three but my little boys would adore the rocket ship. I would take them to church! I’m torn between the house and the diner! These would be great for the hour-long car ride to Grandma’s house. Also, would come in handy for all the doctor waiting rooms. Definitely the diner – we would bring to our neighborhood diner so mommy and daddy can have a couple extra minutes with our coffee. I love them all! The diner would get the most mileage at my house with my son and daughter. I’ve been looking at these for awhile since we have so many of the apps too! I love the little house because my girls would love it most I think. Though the diner is a really close second because it combines play restaurant and the cute little characters! I’d probably bring it with us everywhere! But plane rides for sure! 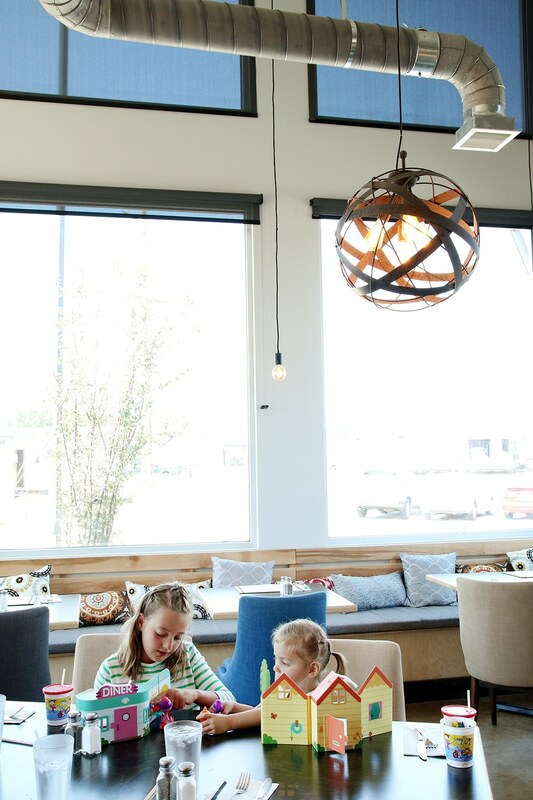 My daughter would LOVE Jinja’s house and it’d be our go to for taking the kiddos out to eat. I think the diner is my favorite but it’s a tough choice! I love Jinja’s House! I have two little ones that would love these at home or when we’re on the go! all LOVE them. i’d take them outside in the backyard for quiet play time! My kid would flip his lid for the spaceship! We bring books and cars out when we eat out or travel but I’m always looking for new activities that will keep him happy and engaged. These look great! Love Jinja’s house! My three kids would be thrilled to win! :) Great giveaway! What ages would the be good for? I would say preschool and up! We have a 3 year old and a 7 year old and both love them! Would love to try out the diner play set. So cute! Oh my goodness, these are so cute! My 2.5 year old really loves playing with a certain porcine friend’s house at home. Having Jinja’s house to take with us to a restaurant would be amazing! We might actually eat out more, lol! I think Jinja’s House is adorable, but I know my 3 kids would love all 3! They always ask to bring a small toy in the car when we go anywhere, no these would be perfect for keeping them entertained! These are so great! Would love all of them, but Jinja’s house looks perfect for my girls. Would be perfect for long plane and car rides! We go to Rhode Island and Puerto Rico and Miami during the summer months and these would be perfect. We travel a ton so these would be perfect for playing at the airport. I love the diner! I love Jinja’s house! Perfect for roadtrips! These are so cute. I’m torn between the house and the diner as a favorite. I had no idea sago mini made real toys. I’d bought a couple of their apps for my daughter to play with on the iPad, but I’d love to win these play sets for her. They’re adorable and I love that they’re portable. We are getting ready for vacation so they’d be perfect for that! We love the Sago mini apps!! Both my kiddos would love these but especially Jinja’s House. Oh, and ALL OVER! We road trip 2-3 times a month through Nevada, Idaho, and Utah. Professional communicator/English major here. Love the blog, nice redesign, but it makes no sense to put your own post titles in quotation marks and negatively impacts readability. I love the diner! So cute! I think the spaceship would be our favorite over here. With the house coming in a close second. These would be perfect for all the baby doctors appointments (and their own for that matter!) or even for church. Definitely the space ship – my son would love it! I think it’s perfect for restaurants or pretty much anywhere there is waiting/extended sitting involved – also great for travel! Such a great concept!! I love the little house but it’s so hard to choose! I know my girls would love any of them. Jack’s Diner because my kids love to eat breakfast at their favorite diner, and that’s exactly where I would bring it! Diner is my favorite. We’d bring it on vacations. Jinga’ s House is super cute & my kids would love playing with it on picnics! Definitely love the little house Faye was playing with (her hair looks so cute like that btw!) we would definitely take this to the grandparents house and on long shopping trips so our daughter would have something to play with on our breaks. We have a 16-month old girl who would love this! I love Jack’s Diner! Would bring no it on our trip to the beach this year. this would be great for a long plane or car ride! The house is so cute! I have several nieces and nephews, so I’d keep them on hand for when the littles come visit! Love Jack’s Diner – my son is named Jack! He’d love carrying this over to his friend’s house. The rocket ship is so cute. Would be a great airplane toy. I love the house!! In the car for sure!! Jinja’s house. And my girls would bring it everywhere! The diner is my favorite-definitely. I’m a nanny of three so I’d bring them to work with me! Love them all, but I’d choose Jack’s Diner! So, so cute! We have one of their apps (the one with the bird in either summer of winter) and my daughter loves it. Both my 5 year old boy and 2 year old girl would loved these! I think the diner is my favorite, though they are all adorable. We would bring them to church and for sure on our road trip we have planned for Thanksgiving Break! Jinja’s House is adorable. My daughter would love these! Jinja’s house! And on our next cruise! My favorite is the cute little house, and we’d bring it to restaurants so we have a chance of eating while the toddler is entertained! These are so fun! My kids looooove the apps, I had no idea they had toys too! My daughter would love the house! I like the house the best! I think this would be great for airplane rides or at a restaurant. Jacks diner looks so cute! Wow – this is adorable. The diner is my favorite, but I know both of my boys would be bananas over Harvey’s Spaceship. Thanks for the intro to Sago Mini! Jinja’s house is my favorite but they are all so cute! My daughter would love these, the apps are a big hit! We would bring them out to dinner but I’m most excited about them as a toy to pull out when I’m taking care of our new baby who’s arriving in a few weeks!